Shot to the heart! …and you’re to blame? Value: Good bang for the buck. As for “let’s not mince words”: Bulleit Bourbon is tasty, hot, and complex. It’s tough not drawing parallels between Bulleit Bourbon and Buffalo Trace. They are both heavy rye bourbons. They are both small batch bourbons. They are both full of barrel notes and complexity. Bulleit Bourbon is tasty, hot, and complex. But where the parallels stop is in the overall flavor profile and heat. Bulleit Bourbon has all those barrel notes you want, but not overly so. Bulleit Bourbon has a lovely caramel sweetness to it, but not overly so. What it does have in spades is good old-fashioned rye bite! Spice and pepper take charge with this high-proof bourbon, and they do it in a good way. While the barrel notes may be a bit dialed back, this is still a flavorful and complex bourbon. I am fan of any whiskey that makes me sit up and take notice, and in that regard, Bulleit delivers. The second you stop feeling a burn with Bulleit, that’s when you should stop drinking for the night. 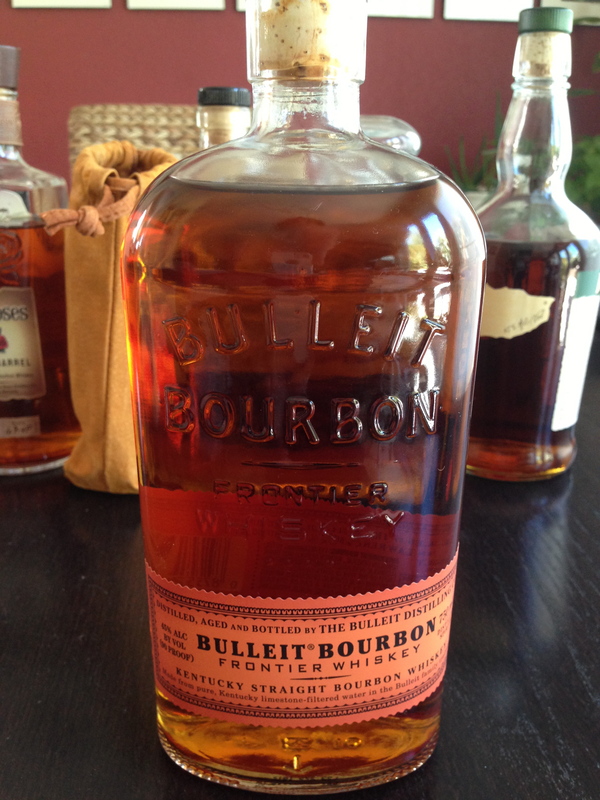 But, as I’ve noted in a few other reviews, no: Bulleit is not the Be-All/End-All of Old Bourbon Terroir. The flavors are just a tad too timid. While the heat and the rye certainly do their jobs, the corn is left in the background… leaving me wanting just a touch more molasses flavor. Yes, I can be picky… can’t I? Now, the brass tacks: Bulleit is in the same price point as Buffalo Trace. Is the more pronounced bite a contender for the “Best Straight Bourbon at $22 or Less” crown? In a word: No. Buffalo Trace offers more across the board than the extra bite Bulleit offers. Ah well… maybe we’ll find a more impactful bourbon later…? Bulleit is a pretty versatile bourbon and with its decent price, you shouldn’t shy from mixing it! Be sure to check out my reviews of Four Roses Yellow, Four Roses Single Barrel, Buffalo Trace, and Rock Hill Farms for other bourbons you might want to consider.